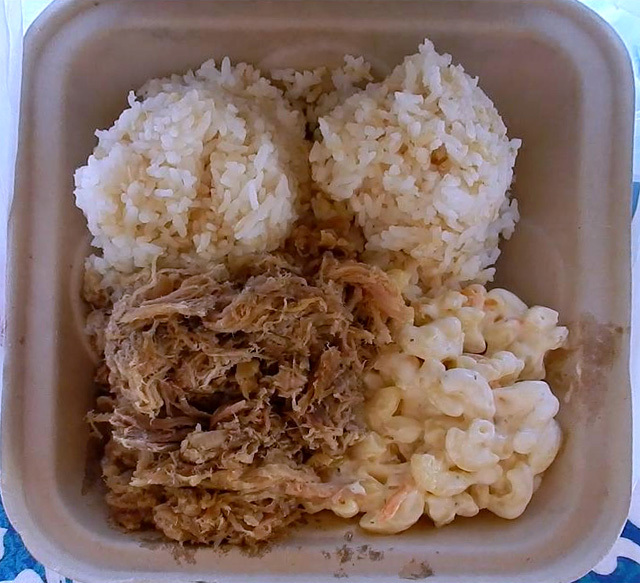 First things first - every Hawaiian Plate Lunch has the necessary sides of Sticky Rice and Macaroni Salad. For my upcoming recipes of Kalua Pig & Cabbage and Loco Moco, just refer back to this blog post for the following recipes. For this cheap$kate rice and macaroni is priced right. 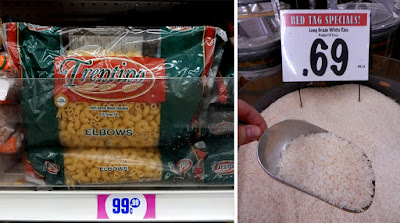 I get white rice at my local Mexican grocery for way below a dollar a pound. 8, 12, and 16 ounce packages of dried macaroni can be had for 99.99 cents at my local 99c only Store. 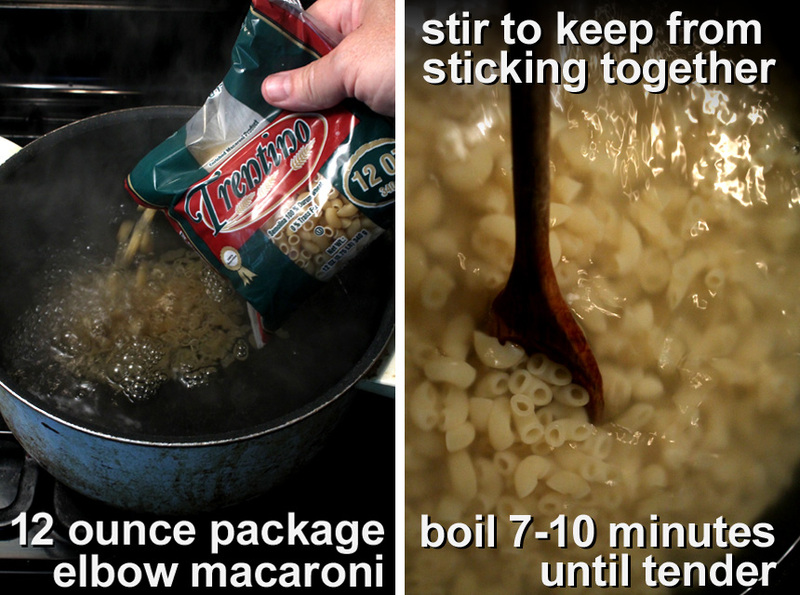 For this recipe I used small elbow macaroni, but you can use large elbow, too - whatever is on sale, really. 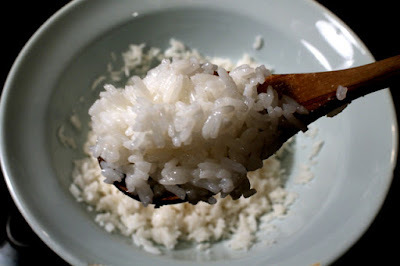 For Sticky Rice I rinse the dried grains of rice and cook it with less water. That's it. The rice clumps together but it's still tender. Too much water and the rice grains stay separate. Of course you can make the rice any way you like. And if you have a rice cooker, then use that. If you like precooked instant rice, go with it. 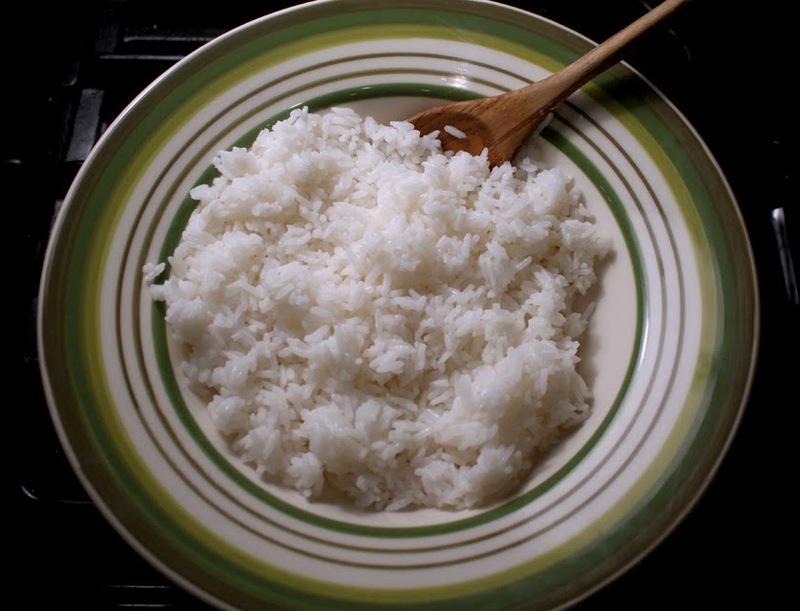 Plate Lunches sometimes include Hapa Rice, which is a mix of white and brown rice. "Hapa" is the Hawaiian Pidgin word for "half," referring to a person of mixed race. And for my upcoming recipe of Spam Masubi (like a serving of sushi fish on rice, with a soy sauce flavored and fried slab of Spam) you also add a little sugar and rice vinegar to turn Sticky Rice into flavored Sushi Rice. 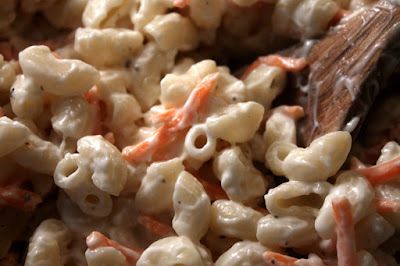 My favorite side of a Hawaiian Plate Lunch is creamy Macaroni Salad. It obscenely simple to do. 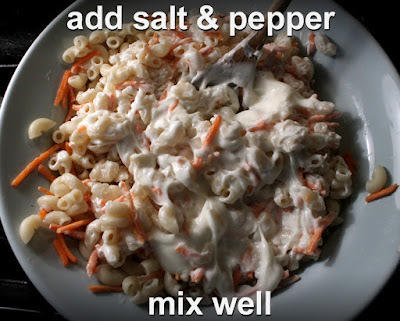 Just cook dried macaroni following the package directions, cool it down, then mix in mayo, finally season with salt and pepper. Some Hawaiian restaurants make it with shredded carrot, so you can add some, for extra crunch. When you order the typical Hawaiian Plate Lunch, it comes with two scoops of Sticky Rice and one scoop of Macaroni Salad. I like to reverse that. I prefer more cool Macaroni Salad. You can see the influences of Chinese, Koreans, Japanese, Filipinos, and Portuguese immigrants workers on Hawaiian cuisine in my following series of Hawaiian recipes. So do check back for more, plus cool video of beautiful scenic Hawaii. There are a few different ways to make sticky rice. Some use a bamboo steamer. It's easiest to use a rice cooker. 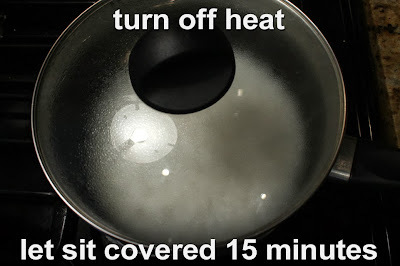 I don't own a rice cooker or bamboo steamer, so the following directions are for stove top cooking rice in a covered pot. Add rice to a pot with a cover, Add 1 cup of water. Bring to a boil, reduce heat to low and cover pot. Simmer water with rice 15 minutes. Turn off heat, give the rice a quick stir (to release any stuck to the pot bottom,) and let sit for 15 more minutes, covered. Finally season with salt and mix. For brown rice do the same, except: add another 5 minutes to cooking time, and 20 minutes of setting covered, with heat off. Brown rice takes a little longer to cook. You can also cook brown and white rice together. This recipe is easy to double, that is, add 2 cups of water to 2 cups of washed rice. 12 ounces of dried elbow macaroni - large or small elbows. 1 1/2 cup of mayo - I used light, but okay to use regular or any vegan type you like. And add as much mayo as you prefer. 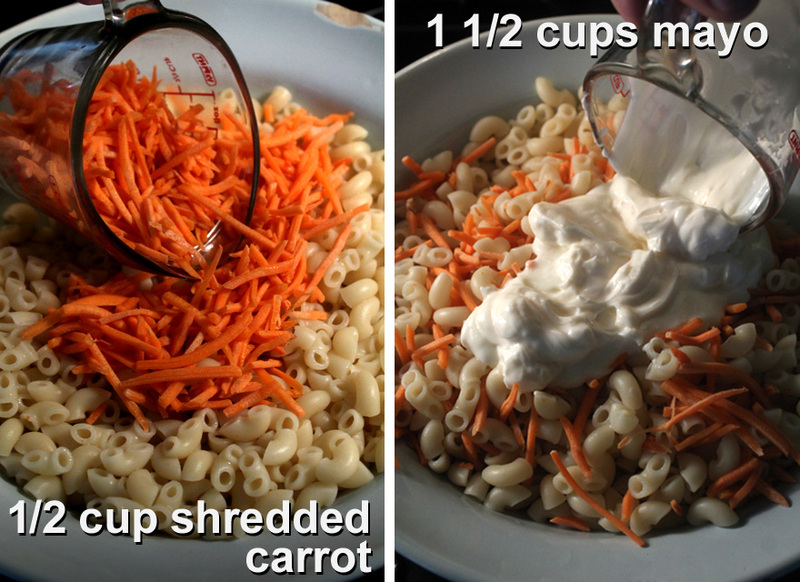 1/2 cup shredded carrot - optional. Water - enough to cover and boil macaroni. 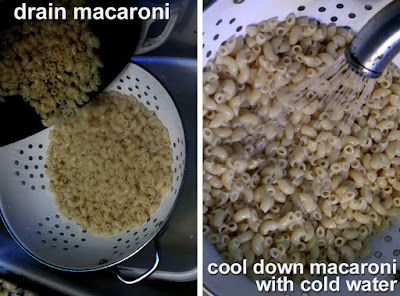 After macaroni is tender, drain it and cool macaroni down with cold water -- so the cooking stops before macaroni becomes to mushy. 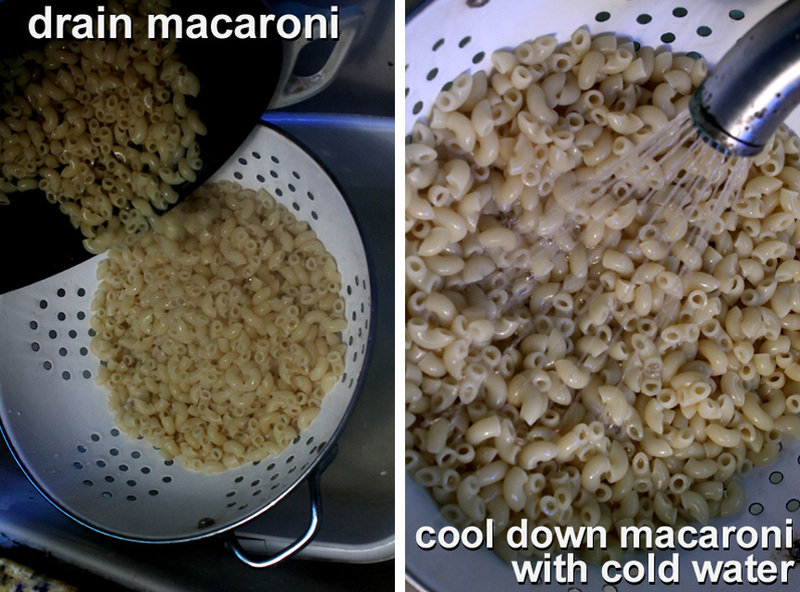 Add macaroni to a large bowl. 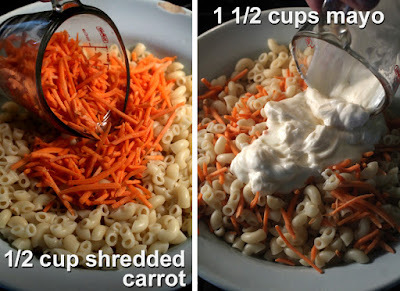 Add shredded carrot (optional) to macaroni. Fold in mayo. Mix it all together. Finally season with salt and pepper to taste. Refrigerate until ready to serve. Add as much mayo as you like to this recipe. Some recipes call for half a grated onion. 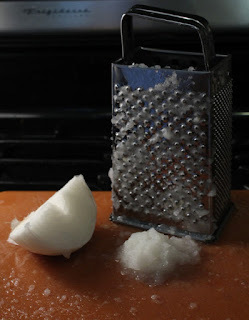 Okay to use a food processor, blender or old school box grater. Remove any left over large pieces of onion. You want the onion to blend in like a thick liquid. Some recipes leave out the onion, so this is optional. Okay to substitute grated onion with dried onion salt or teaspoon of powdered onion.